Lekela Power assures that the construction site of the Taïba N'Diaye wind farm will be delivered in 2020. The plant will then supply 158.7 MW of electricity to 2 million Senegalese, and will reduce 300,000 tonnes of CO2 emissions per year. 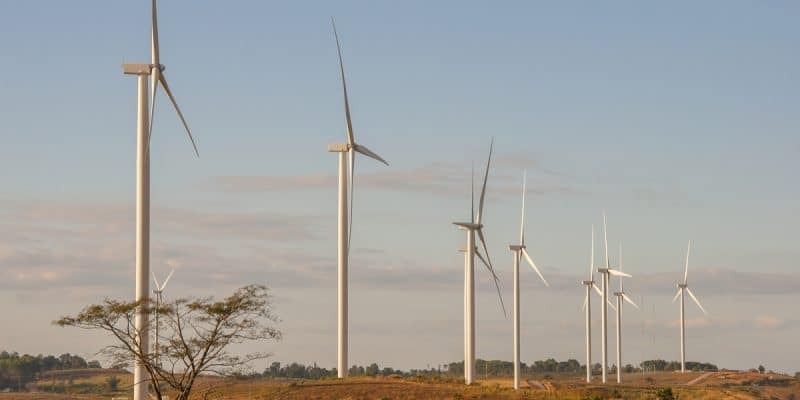 Lekela Power, a joint venture set up by the British fund Actis and the Irish Mainstream Renewable Power, officially launched the construction of Senegal’s first public utility wind farm on December 6, 2018. The site is located in the Minam Diop village, in the locality of Taiba N’diaye, about 70 km north of the capital Dakar. The wind farm will include 46 Vestas turbines, named after the company that provides construction and maintenance services. The contracting authority, Lekela, guarantees that the project will be operational in less than two years, i.e. in 2020. With an estimated 158.7 megawatts of power, the fleet will provide more than 450,000 megawatt hours of electricity per year. This is about 15% of Senegal’s current electricity production capacity. This energy will be sold to the National Electricity Company of Senegal (Senelec) and integrated into the grid. On July 30, 2018, Lekela announced the financial closing of the Taiba N’Diaye wind farm; a multiple financing, provided by the Danish Export Credit Agency (EKF), which has committed to provide an export credit of €140 million; while Overseas Private Investment Corporation (OPIC), a US government development finance institution, has provided $250 million in financing and $70 million in reinsurance to the fleet. According to Lekela Power, the Taiba N’Diaye wind farm will provide electricity to two million people in Dakar, thus meeting the demand for electricity in the capital. In addition, the operational phase of the project will reduce CO2 emissions into the atmosphere by 300,000 tonnes per year.